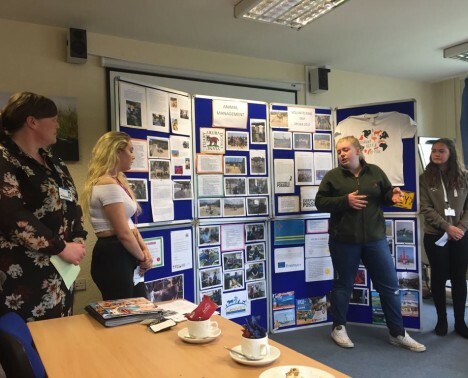 As promised before their Vocational Educational Training (VET) project in Aruba, trainees from Askham Bryan College (with support from Newton Rigg College) have organised an exhibition at their return in the UK. 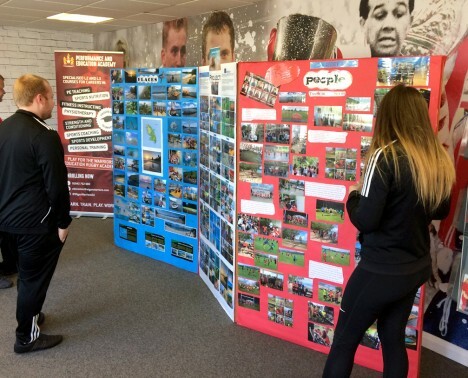 In this exhibition they explain the activities they took part in, as well as what they’ve learnt personally and professionally. 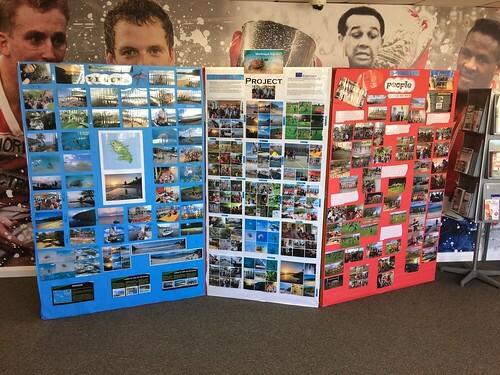 They’ve launched the exhibition on the 14th July with a presentation by the trainees themselves. 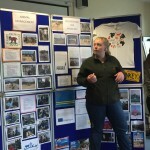 On the picture you can see Meg explaining what she has learnt during the project. Everything is Possible director, Clair Brown was there for the opening. 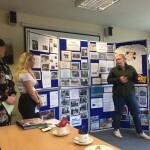 The exhibition has been developed by Nicola McGarr, Bethany Backhouse, Katie Sharrock. 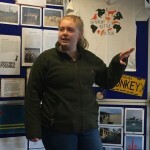 Their project was hosted by Aruba Donkey Sanctuary and Convet. This opportunity is part of Moving Feet Opening Minds, funded by the Erasmus+ project of the European Commission.